The Sofa & Chair Company has a large range of corner sofas that can be customised to your exact specifications, including round and circular corner sofa units. 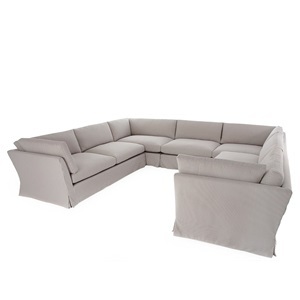 We also have a range of bespoke corner sofas made to order as well as 100% unique items. 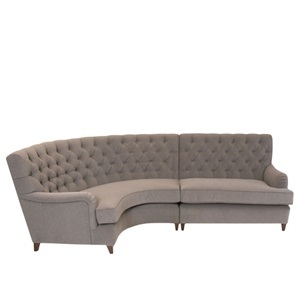 We offer a stunning variety of beautifully designed corner sofas in both classic and contemporary styles. They come as sofas, armchairs and footstool versions. If you can't find what you're looking for in our comprehensive collection, any piece can be altered for you. We also have a bespoke library of corner sofas, which can also be tailored to your needs. We also maintain a very large stock of many of our best selling pieces in the most popular fabrics and colours. Any of these items is available for delivery in as little as 24 hours.